Commentators across the political spectrum are noting a marked deterioration in our political discussions and debates. Citing everything from the daily barrage of unfiltered media and social media rants to the name-calling and insults tweeted by President Donald Trump to the acts of aggressively confronting politicians and public figures in their private lives, many of these commentators are calling for a return to “civility.” Others, observing the same trend, are defending “incivility” — arguing that calls for civility are merely attempts to silence the voices of aggrieved groups. 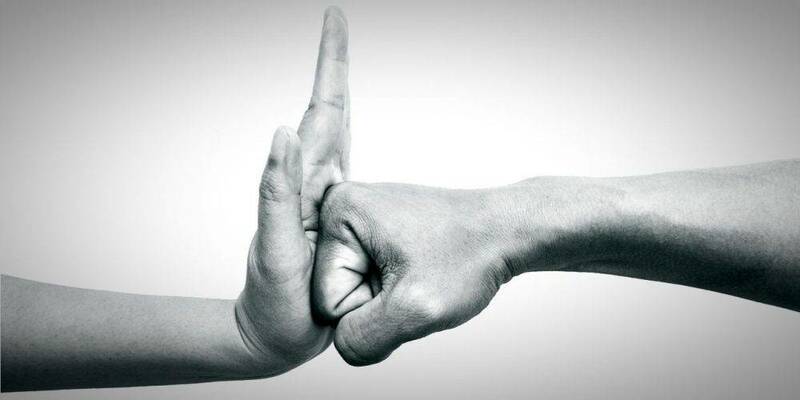 There is certainly something worrying about what passes for political debate and legitimate protest today, but the language of “civility” and “incivility,” as it is often used in this context, is part of the problem. It blurs a crucial distinction and muddies the waters. The “dangerous line” being crossed (and blurred by the language of civility) is between the peaceful exercise of one’s rights and the coercive exercise of physical force. Saying that Waters was endorsing “Red Hen tactics” is blurring the distinction between the peaceful action of a property owner and a politician calling for the physical intimidation of government officials. Wilkinson, in her own restaurant, quietly took Sanders aside, and explained why she would like her to leave. Sanders and her party left peacefully and were not charged for their meal. Whatever you think of Wilkinson’s decision, her action was a peaceful and legitimate exercise of her rights as a property owner. You might disagree with Wilkinson’s decision — but no one’s rights were violated in the process, and she had every right to express her disapproval of the administration in that form. Waters’s call for harassment and intimidation is in an entirely different category from Wilkinson’s action — and classifying both as “incivility” simply whitewashes the call for intimidation with a safely unintimidating term. Waters should be rebuked — not for “incivility,” but for advocating the use of physical intimidation for political ends. In an article for The Atlantic, “Left-Wing Protests Are Crossing the Line,” journalism professor Peter Beinart rightly warns of the danger these intimidation tactics pose. Whatever the merits of the causes they promote, they are embracing methods that are deeply corrosive. . . . When [activists] prevail, the approaches they embraced in opposition to power deeply shape how they exercise it themselves. And the protesters harassing prominent conservatives during their private lives have crossed a dangerous line.
. . . liberals should consider the anti-abortion movement. Americans can tolerate a society in which anti-abortionists march and pray in front of abortion clinics. We cannot tolerate a society in which they knock on the door of abortion doctors and tell their families that “we know where you sleep.” We cannot tolerate a society in which anti-abortion demonstrators make it impossible for Rachel Maddow, Elizabeth Warren, and the leaders of Planned Parenthood to go out with their families to eat. The “dangerous line” being crossed (and blurred by the language of civility) is between the peaceful exercise of one’s rights and the coercive exercise of physical force. That line is not just being crossed today, it is being rejected by advocates of force. Don’t just interrupt a Senator’s meal, y’all. Put your whole damn fingers in their salads. Take their apps and distribute them to the other diners. Bring boxes and take their food home with you on the way out. They don’t deserve your civility. Commenting on this incident in an article for Inside Higher Ed, sociology professors Johnny E. Williams and David G. Embrick defended Thomas’s statement. “Challenging senators’ decisions that adversely affect the lives of everyday people is not ‘uncivil’ or ‘aggression.’ It is democracy in action.” Going a step further than Maxine Waters, these professors not only explicitly defend a call for violence, they refuse to regard such an act even as aggressive. Here the whitewashing of coercion with the language of civility is on full display. Professor Thomas says that these senators “don’t deserve your civility.” But, “civility,” in this context, is a package-deal — an attempt to blur the difference between speech“Civility,” in this context, is a package-deal — an attempt to blur the difference between speech and force by uniting these radically different forms of action under one concept. Click To Tweet and force by uniting these radically different forms of action under one concept. Now, it may be true that some senators, because of their actions, do not deserve your civility, in the sense of politeness or a respectful form of address. It would be obsequious to be polite and to “make nice” with those you regard as corrupt or evil. But that doesn’t mean that in a civilized society you are entitled to subject them to force, such as by stealing their food. In other words, the alternative we face is not: politeness or force. It’s peaceful (even if barbed) disagreement or force. For King . . . nonviolence was militant. It was confrontational by design. Often, this sort of protest required breaking laws . . . . What King understood was that civility stood not as a companion or a near-synonym to his project of radical, militant nonviolence, but as its most insidious opponent. To respect individual rights and the rule of law requires being fundamentally, and on principle, opposed to any kind of intimidation, threat, force, or mob action in pursuit of one’s ends. Here again we see the language of civility used to blur the difference between speech and coercion. It is simply obfuscation to claim, as Newkirk does, that appealing to “nonviolent activism” precludes using “shame and confrontation as tools.” One can shame and confront without initiating force, as Wilkinson did at the Red Hen restaurant. Would a demand for nonviolent activism serve to scold her? No. But for Newkirk, “confrontation” is code for threats, intimidation, and coercion, which is what he is trying to legitimize. What Newkirk and Sugrue are trying to do is use the legacy of King’s civil rights activism to condone force and intimidation as a legitimate means of pursuing political ends. Whatever the case may be with regard to King — and what acts he endorsed or opposed — it is essential to clearly demarcate the realm of speech and the realm of force in the context of a civilized society. There is no justification, in a civilized society, for the kind of mass civil disobedience that involves the violation of the rights of others — regardless of whether the demonstrators’ goal is good or evil. The end does not justify the means. No one’s rights can be secured by the violation of the rights of others. Mass disobedience is an assault on the concept of rights: it is a mob’s defiance of legality as such. In a civilized society, the central social-political norm for conduct appropriate to an individual is, to put it negatively, that no one may initiate physical force (and that includes threats and intimidation). Put positively, it is that one must respect individual rights and the rule of law — and this requires being fundamentally, and on principle, opposed to any kind of intimidation, threat, force, or mob action in pursuit of one’s ends. Civilized conduct, in this sense, does not imply tolerance, passive appeasement, or the absence of outrage; it implies a respect for reason and the acceptance of reason as one’s means of dealing with one’s fellows. It implies that in protest and dissent it is a mind that one is trying to reach, not a mob one is trying to stir up. If a society comes to accept the use of force and intimidation as a means of settling disputes, the result, increasingly, will be gang warfare. Have a question? Send it to us. These are just the kinds of actions we’ve also been seeing on college campuses — students chanting to drown out speakers they don’t like (as happened to Heather Mac Donald at Claremont McKenna College and Bret Weinstein at Evergreen College), staging sit-in protests in university classrooms to prevent classes from functioning and openly intimidating students and faculty (as occurred recently at Reed College), engaging in physical violence and destruction (as when Milo Yiannopoulos visited UC Berkeley), and physically attacking event speakers (as happened to Charles Murray and Professor Allison Stranger at Middlebury College). For example, mass demonstrations or sit-ins on private property are violations of the property owner’s rights. If the right to one’s own property is to have any meaning, it must include the right to decide who may make use of it. Just as Stephanie Wilkinson had the right to ask Sarah Huckabee Sanders to leave her establishment (no matter what you think of Wilkinson’s motives), so any property owner has the same right irrespective of his or her motives. Ayn Rand, “The Cashing-In: The Student ‘Rebellion’” in Capitalism: The Unknown Ideal (New York: Signet, 1967 Centennial edition). Aaron Smith, Ph.D. in philosophy, is a fellow at the Ayn Rand Institute where he lectures and develops educational content for the Institute’s intellectual training and outreach programs. The effects of German Nazism are horrific and indelible. The overall death toll in World War II, which began eighty years ago this summer, “dwarfs the mortality figures for the Great War of 1914–18, obscene as. . .
Today tech companies and their billionaire CEOs are becoming increasingly demonized, and some people are questioning whether they should even exist at all. A recent article by former US labor secretary Robert Reich. . .
New Ideal offers a distinct, rational perspective on today’s cultural and political issues. Subscribe today. Explore unique philosophical content that challenges conventional views — in courses you can take on the go. Available on Google Play andthe App Store. 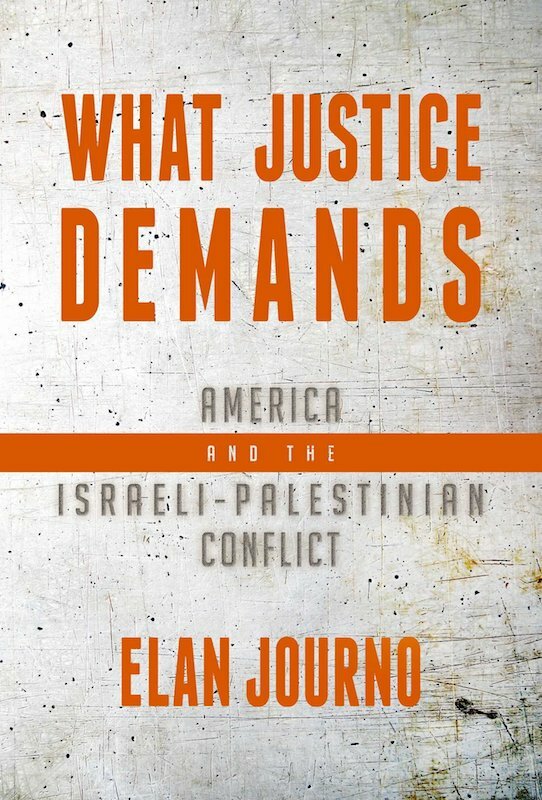 What Justice Demands: America and the Israeli-Palestinian Conflict defies conventional views on the issue and shows what’s at stake if you value freedom and progress. Would you like to hear the latest from New Ideal?